Bitcoin vs Ethereum : Which One Will Come Out On Top? There is an internal division amongst the cryptocurrency community that emerged after Bitcoin’s maturation; skeptics arose about the possibility for its long-term sustainability. As time passed and the crypto ecosystem evolved, more people started using and developing with Bitcoin’s protocol but noticed there were a few “discovered” flaws. As a result, Ethereum was founded to provide a proposed “simpler”, and more “agile” blockchain system. A quick look at Ethereum’s white paper and someone might be excited to think Ethereum is just an advanced and better version of Bitcoin; however, the assumption is dangerous, as the competition amongst the two has much more depth. As we’ll explore, while the concept of Ethereum and its promises are enough to hopeful arbitrary price increases, these notions have to be looked at cautiously. For starters, we’ll have to quickly look at the history of crypto: many developers believed the Bitcoin blockchain would be a perfect foundation for applications, but it lacked usability for that purpose. People didn’t really get it immediately. Bitcoin is an infrastructure and was proposed as such, but during Bitcoin’s infancy, a then-19-year-old-Vitalik Buterin believed the infrastructure could never reach enterprise level of adoption because of its internal structure and came up with Ethereum. Ethereum was an easy, robust blockchain application development environment at its core. While in the initial Ethereum white paper, it was believed Ethereum was a friendly architectural extension to Bitcoin, it has uncovered ulterior motives. Vitalik Buterin came up with a platform that has now launched a debate among developers, users, and economists globally: which cryptocurrency is the best? The “Bitcoin vs Ethereum” argument subsequently came to light. Which one becomes the path to infinite internet usability and riches? The laggardness, costly fees, and realization of unnecessary middlemen in traditional finance developed the cryptocurrency etymology for separation from centralization. However, as systems progressed, there evolved an even more complex separation, one within cryptocurrency itself. Bitcoin vs Ethereum became a common household argument that no one could quite win. Ethereum enthusiasts pushed against Bitcoin developers, and the conflict became even bigger. 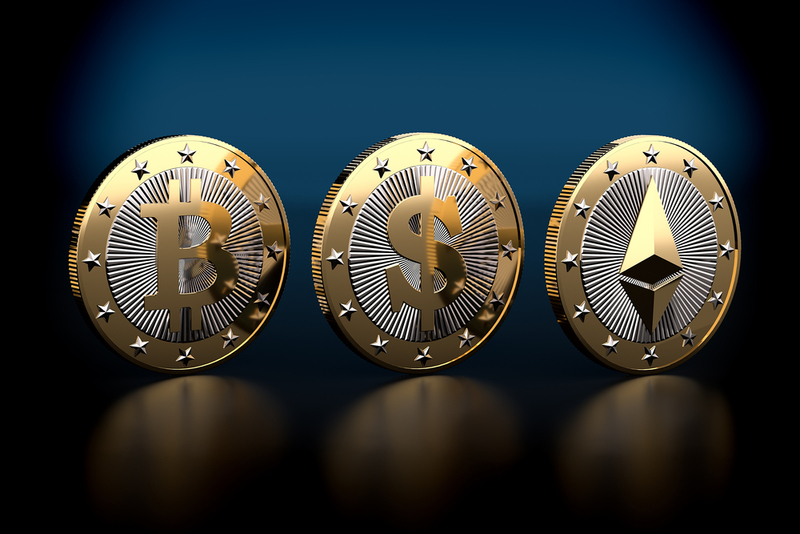 The Ethereum push even created the term within cryptocurrency called the “flippening”, the believed pro-Ether process where Ethereum takes over Bitcoin as the crypto market leader. To really understand which is better, which one will survive, or deduct which one will increase the most in price, we need to review a few essential factors for both Ethereum and Bitcoin. Let’s assess their framework before anything: Bitcoin is a protocol, an infrastructure for decentralized payment systems that enables immutable ledgers and a proposed solution for a globally-coherent financial system. It’s a blockchain (Bitcoin blockchain), creating an environment where people make transactions that are immutable with no central party. Ethereum, on the other hand, is built from the foundational structure of Bitcoin. It’s not a coded carbon copy of it, however, it’s like Bitcoin’s kin. Ethereum is also a blockchain, an immutable ledger for payment systems. Unlike Bitcoin, however, at Ethereum’s core lies the “Ethereum Virtual Machine” (EVM), what can be seen as a virtual computer where users can write applications for the EVM to interpret. With this in mind, consider this: Ethereum lets you create applications on the blockchain, however, Bitcoin instantiated the blockchain that Ethereum is based on. The common question is how can Ethereum be better than Bitcoin if its core foundation is based on Bitcoin? Don’t they need both in accordance with one another for growth? No, they don’t, at all. In fact, Ethereum almost intentionally since its inception has tried to establish it can be better than Bitcoin. Whether or not that’s the truth is speculative. Ethereum came under a lot of backlash from the community in 2018, and as explained later, may have started 2019 on the wrong foot. Consider the following specifications; Bitcoin is a cryptocurrency. It is a protocol for decentralized systems. Ethereum is a framework, and “Ether”, the fuel of the Ethereum economy is its cryptocurrency. Ethereum was designed from scratch to serve as an interactable blockchain application framework with a cryptocurrency as its fuel; Bitcoin was designed to be a digital currency for a global, decentralized economy. Ethereum is considered to possess the edge of being multi-purpose; but if you have multiple areas to focus on, a cryptocurrency being only one of them, frameworks can get cluttered. Regardless of whether you’re a technical person or not, stay with me here as I walk through the following technical comparisons between the two cryptocurrencies. Bitcoin’s block time, referencing its speed of confirming transactions, is around 10 minutes per block; Ethereum’s is 10-19 seconds. Scaling is a concept that refers to the ecosystem as more users join. If a framework can adapt to new “circumstances” where more volume is incurred on it, it’s considered to be “scalable”. Ethereum has explicitly noted it is scalable, while Bitcoin has stated it has the potential to scale (Remember this portion in mind for later in the article). With these in mind, a user can easily assume that because of these statistics, Ethereum is the better choice. There’s more than meets the eye, especially with crypto infrastructure, though. Ethereum is not the absolute answer in this case. 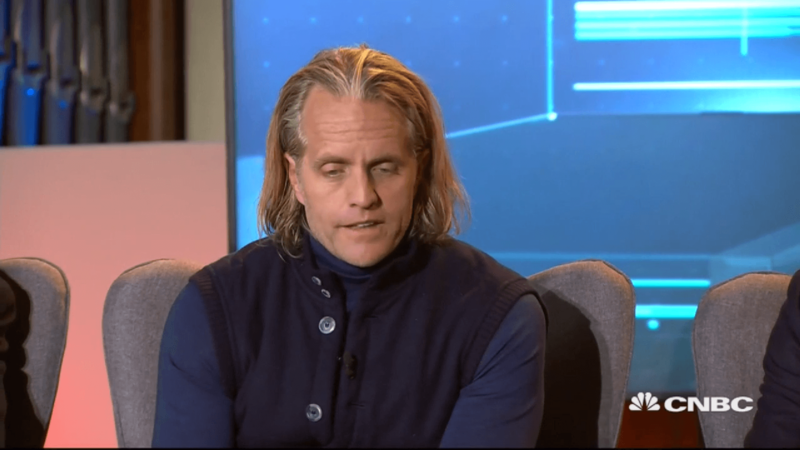 While developers can build with the Bitcoin protocol, it should be noted the creator of Bitcoin (As made prevalent in the Bitcoin whitepaper) did not create Bitcoin with a purpose of adaptable development integration, but rather with a purer want to establish a decentralized currency for the age of the internet. Ethereum wanted to improve on that but has since found itself almost battling that same entity that birthed it. The biggest appeared separation was made when Ethereum enabled a public framework for users to create applications that are decentralized, called “dApps”. 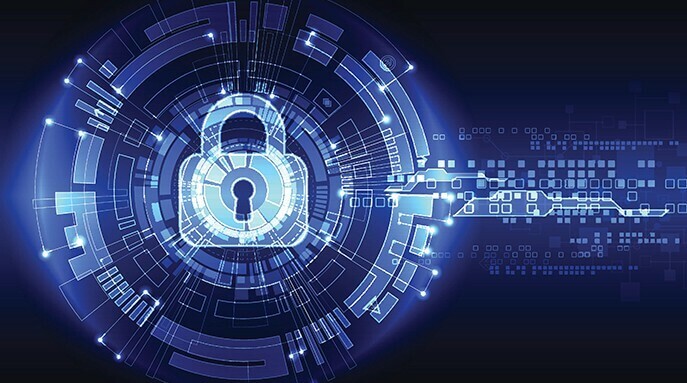 It also instantiated the possibility of coding “smart contracts”, which are virtual agreements between multiple parties, visible on the blockchain. Ever heard of escrow accounts? Ethereum derived the efficiency of that and virtualized it entirely, birthing an entirely new era of the internet. However, it wasn’t exactly new – the Bitcoin protocol enables contracts, and contrary to the proposed market proposition of creating smart contracts, the publication of concepts and framework for “smart contracts” actually dates as far back as 1994. When assessing which crypto you think is better, it should be noted that Bitcoin absolutely has the capability for being a development framework, and it does (The Bitcoin Core team). It’s just wasn’t the creator’s intention, as was Ethereum’s. Since this differentiation, the public can easily get confused about Ethereum being better than Bitcoin strictly because it does “more”. While Bitcoin might seem like an ancient dinosaur that needs repairing, it’s actually untrue that it lacks all capabilities that Ethereum does. They’re just lesser known, and because it’s the leading cryptocurrency, it’s harder for the underlying development team to maneuver safely; after all, they’re improving a framework that can never be shut down and runs 24/7 in a billion dollar market. During the 1980s computers were only available to the most sophisticated companies and tech firms. Steve Jobs and Bill Gates had visions to bring that technology straight to the homes of everyday people. They took extremely complex systems, broke them down to their simplest forms, and made near separate trillion dollar empires because of their retail attraction. They enabled development frameworks that were easily applicable to everyday society. Ethereum did exactly that with blockchain development, establishing an entire multi-billion dollar ecosystem of “coins” and “tokens”. Ethereum did all this with their secret weapon, the Ethereum Virtual Machine. 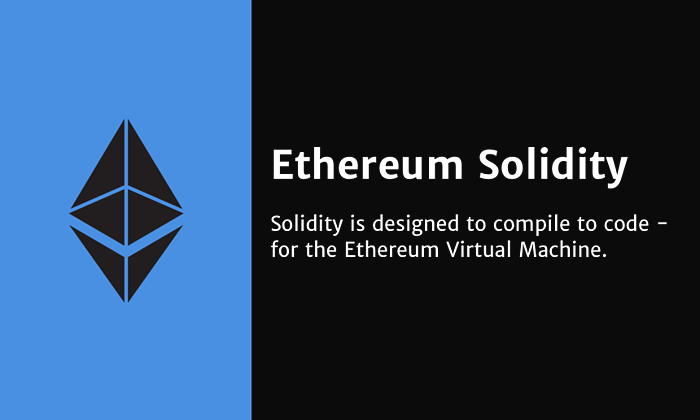 Blockchain development is hard; so Ethereum made it easy with Solidity, their own internal programming language for sculpting smart contracts. Ethereum, as a result of these efforts, established not only a cryptocurrency but a brand new internet standard. This is where Ethereum truly flexes its muscles. Ethereum opened a pandora box of cryptocurrencies; within seconds, anyone was free to create their own cryptocurrencies. Smart contracts birthed the Ethereum-conceived “initial coin offering”(ICO), a method for crowdfunding startup projects strictly on the blockchain. With Solidity, smart contracts were able to create virtual venture capital and hedge fund equivalents called “DAOs” (Decentralized Autonomous Organization) that offered immediate, cheap, and immutable ownership of capital in private funds. As a result? Money poured in; ICOs in 2017 showed dramatic investment rates. Thousands of cryptocurrencies began to launch on the Ethereum platform, and smart contracts became the new standard for transactions. It seems as if Bitcoin has no chance against the multi-standard Ethereum, right? Wrong. As ICO investment capital and smart contract volume poured in, the common ideology was that Ethereum would overtake Bitcoin because of its higher use case. If thousands of projects are building their foundation on Ethereum, it can be assumed that means thousands of projects are buying Ether, therefore Ethereum wins. However, this isn’t the case. When ICOs were conducted, investors or users would traditionally contribute to the project’s smart contract via Ether. As a result, the initial concept was that Ethereum would overtake Bitcoin because of the volume of projects needing Ethereum. However, in an ICO structure, after a project accepts these contributions, they need to use the funds for their intended purpose. Say a project raised $1M in Ether for a project. They specified to investors $500,000 will go to paying for operational costs. The problem is that operational costs don’t accept Ether; and therefore, the billions of dollars in capital accumulated in Ether had to be dumped back to USD – and to this day, are still (Trying now because of the dried up liquidity) dumping their Ether back to USD causing huge downward pressure on the market. The previously near-promised assumption was that mass adoption of Ethereum would occur rapidly enough to never require a conversion to fiat. But deadlines were missed. The promised development of “sharding”, the promise (as mentioned earlier) for absolute scalability, is nearly 5 years past due. The previous promise of the Ethereum Virtual Machine serving as a decentralized costly computer disappointed; current calculations estimate that storing data on Ethereum is more than 400 million times more expensive than Amazon Web Services. Ethereum had hyped up for multiple years now, the “Constantinople” main net hard fork which promised upgrades of the chain, was delayed multiple times. As a result, in January 2019, Ethereum fell to the number 3 market capitalization position to Ripple’s XRP. Within the time of delays, broken promises, and cancellations, competitors caught up; blockchains like Tron showed more advanced, scalable, and actively improved/manage blockchains for smart contracts. Tron now processes millions of more transactions, decentralized application, and smart contract volume than Ethereum. All the while, though, Bitcoin moved forward. If you turn on the TV, talk to your elders, or speak with your friends about cryptocurrency, what is the traditional reaction? The standard for cryptocurrency is Bitcoin. Then, Ethereum comes next – many even regard Ethereum as silver, with Bitcoin being gold. Which is more valuable; gold or silver? Assessing history shows us that since the inception of cryptocurrency, Bitcoin has remained the gold standard of the market. It has stayed at the peak of the cryptocurrency market since its instantiation. Statistically, if you’re betting another cryptocurrency will outperform Bitcoin, you’re betting against over 10 years of odds; think about that. Bitcoin has also grown alongside the cryptocurrency market every single movement since the beginning, and it also maintains approximately over half of the entire cryptocurrency market in capitalization. Therefore, by buying Bitcoin you’re buying a stake in cryptocurrency as a whole; whereas, with Ethereum, you’re not necessarily doing so. 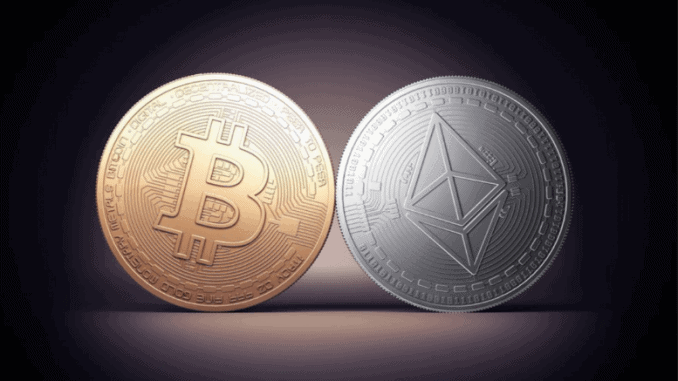 With the current lingering sell pressure of Ether from previous ICOs, the exponential downward trend of Ethereum, and increasing outperforming technologies against Ethereum, the safer buy seems to be pointing towards Bitcoin. Bitcoin vs Ethereum: Which One Will Come Out On Top This Year? The conclusion? Bitcoin will come out on top this year. Ethereum’s broken promises and delays have pushed investors, users, and developers (The trifecta of maintaining a valuable ecosystem) away. It is now economically and statistically more efficient to build decentralized applications on Tron and EOS where zero fees are implied. Volume for actual usage in the cryptocurrency ecosystem is completely dominated by Tron and EOS. Developers think Ethereum is slow, and although it introduced a new framework, it is no longer efficient. All of this downward pressure and ICOs are still antsy for vesting periods to unlock so they can sell their Ether. This impending downward exposure and diminishing upside potential can be relieved; however, there’s a long way to go in order to accomplish that. Ethereum can absolutely still bounce back, however, it’s now in a playing field with multiple other frameworks and smart contract platforms. Although Bitcoin doesn’t propose much as far as integrating actively with the community, its developers hit deadlines nearly every time; delays are merely weeks, not years; and its progress to move towards absolute scalability has been moving rapidly. With this in mind, when it comes to the Bitcoin vs Ethereum prediction, Bitcoin seemingly has many more benefactors to keep it above Ethereum for 2019.